Born in New York City on March 8, 1941, Alan Lowenthal earned a bachelor’s degree from Hobart and William Smith Colleges in 1962, a master’s degree from Ohio State University in 1965, and a Ph.D. from Ohio State in 1967. He subsequently became a practicing psychologist who also taught community psychology at California State University, Long Beach from 1969-98. A lifelong Democrat, Lowenthal launched a political career in 1992. He served in the Long Beach City Council from 1992-98, the California State Assembly from 1998-2004, and the California State Senate from 2004-12. Since 2013 he has represented California’s 47th Congressional District in the U.S. House of Representatives, where he is a member of the Congressional Progressive Caucus. In September 2014 Lowenthal stated that “raising the minimum wage” should be “a critical component” of any effort to “rebuild the middle class.” “By raising it from $7.25 to $10.10 an hour,” he explained, “we would lift 900,000 Americans out of poverty.” Such an increase, added Lowenthal, would serve merely as “the first step” and “a minimum step” toward the eventual creation of a more equitable economy. Claiming that “the American people are tired of living under a broken immigration system and seeing families broken apart,” Lowenthal advocates “comprehensive immigration reform” legislation that “provides an earned pathway to citizenship” for those who currently reside in the United States illegally. He supported with President Barack Obama’s Deferred Action for Childhood Arrivals (DACA) executive action of 2012, which granted work permits, tax rebates, Social Security cards, and protection from deportation, to millions of illegal aliens. In September 2015, Lowenthal was one of 72 House Democrats who signed a letter urging President Obama to increase State Department quotas so that the U.S. could admit at least 100,000 refugees from the war- and terrorism-ravaged nation of Syria. In February 2019, Lowenthal joined fellow House Members Jared Huffman and Brian Fitzpatrick in introducing legislation to ban oil and natural gas drilling in Alaska’s Arctic National Wildlife Refuge. For an overview of Lowenthal’s voting record on a range of key issues, click here. For additional information on Lowenthal, click here. Further Reading: “Alan Lowenthal” (Ballotpedia.org, Keywiki.org); “Democrats Who Oppose Keystone XL Pipeline Own Shares in Competing Companies” (by Lachlan Markay, Washington Free Beacon, 2-12-2014); “Rep. 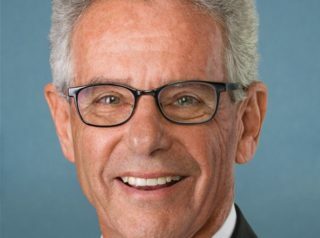 Lowenthal Applauds Pope Francis Encyclical On Climate Change” (6-18-2015); “Congressman Lowenthal Announces Support For Agreement to Prevent Nuclear-Armed Iran” (8-26-2015); “72 House Dems: U.S. Should Take in At Least 100,000 Syrian Refugees” (Daily Kos, 9-11-2015).